Your BBH PSO Units are excited to offer all BBH families, friends and staff a Honey Baked Ham Holiday Sale this year! Several varieties of ham and turkey are available for purchase starting now until Friday, December 16th at NOON. The cost is the same as you would pay in store, but there will be no waiting in line! Pick up your purchases on Friday, December 23rd between 3:00pm and 5:00pm at the Brecksville Community Center. Only online orders will be accepted and must be paid for in advance. Please go here to check out the selections and to make any purchases. 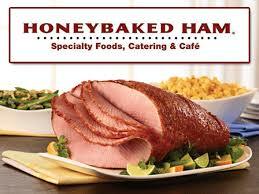 Honey Baked Ham will donate a portion of the proceeds to the BBH PSO Units. Thank you for your continued support. Please email Denise Gawlik or Kerry Ely at psokerryanddenise@yahoo.com with any questions.